Nigeria's acting President Yemi Osinbajo has sacked the country's head of the Directorate of State Security, Lawal Daura, on Tuesday, following failure of plans by the ruling party to forcefully remove the senate president, Bukola Saraki, from office, and to install a ruling party's stooge. President Muhammed Buhari, holidaying in London, is said to have given tactical approval for the plans to remove the senate President, Bukola Saraki, who defected from the ruling party a week ago, before leaving the country on holiday. But the acting president, who describes the takeover as unconstitutional, has said the president is unaware of the takeover plans. The ruling party's chairman, Adams Oshiomhole, is reported as having been in a meeting with APC senators, the inspector general of police and the director of the DSS, at an address in Abuja, collating signatures and other needs, toward achieving his party's objective. Oshiomhole's loyalists are also saying the party's chairman cannot be part of such an illegal act. Towards achieving the objective, officers from the police and the DSS in camouflage arrive at the National Assembly, blockade the entrance and disallow Assembly workers from entry. But the senators and members of the house of representatives who are loyal to the senate president, who have information of the ruling party's plans, arrive and wait at the Assembly's entrance, with a plan to thwart the ruling party's plans. Meanwhile, blockade of the Assembly's entrance by police and DSS officers have reached the acting president, who consequently invites the inspector general of police and the director of the DSS to an emergency meeting. Then the announcement of the Daura's sack, leaving the inspector general of police, Ibrahim Idris. Many Nigerians are shocked at the sacking of the Daura and sparing of Idris, for the illegal presence of camouflaged officers from police and DSS, and for their illegal blockade of the National Assembly's entrance. Observers are saying that it partly shows that the acting president may not have been part of the plans or that he is acting to save his own integrity, and that he cannot have sacked Daura without having spoken to Buhari on phone about the crisis at home. News reports said that the acting president has described the take over of the National Assembly by police and DSS officers as unconstitutional, and that the president has not approved the illegality. He said that all persons who are part of the takeover will be identified for disciplinary action. Nigerians are waiting for the consequence of Daura's sacking and to see what will happen to Idris, who has acted in concert with Daura. And Nigerians are asking that if the president is not part of the plan to remove Saraki as senate president and he is not part of the plan of the illegal take over of the National Assembly by camouflaged police and DSS officers, from whom do police and DSS take orders? The president and Daura are from the same village of Daura in Katsina State. From this development, seemingly unmanageable trouble has found Buhari and the APC. Can the acting president sack Daura and spare Idris without Buhari's approval? 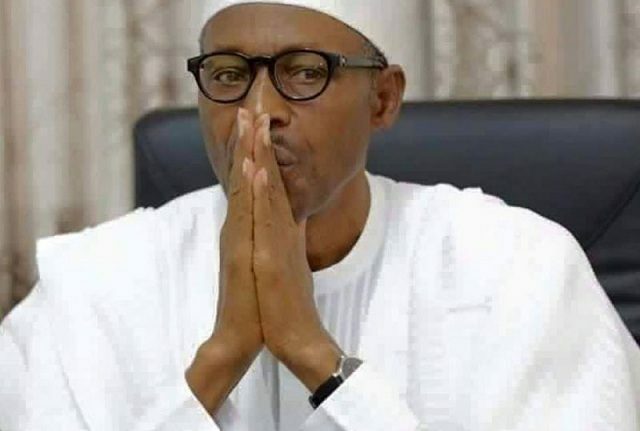 If the acting president can be that powerful to act without contacting the president, some Nigerians are saying his own job may be on the line for touching the untouchable, and that Buhari will take the final decision. Some Nigerians are actually saying that Daura may still return, and that it is the vice president, who may have an explanation to make to convince his boss for sacking Daura and leaving idris. Of course, touching the vice president for Duara's sin will take the South West away from Buhari's reelection bid.